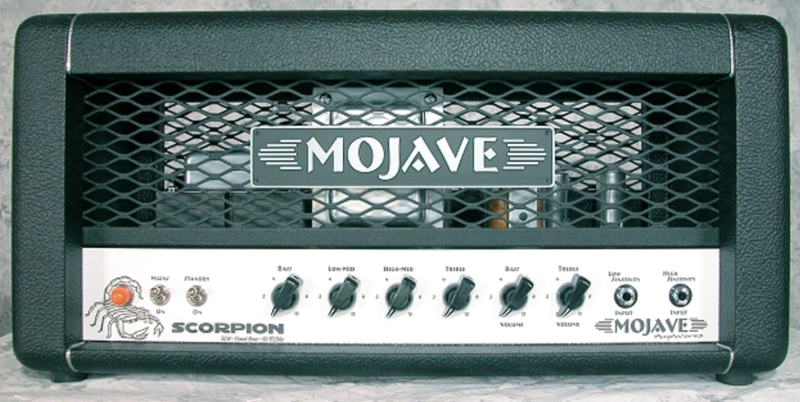 Ultra Sound is a Stocking Dealer of Mojave Amps and we have almost every model in stock for immediate delivery. Get the Mojave model you want now without the wait of having it built. Call us - We have the expertise, great service and most important the model you want and we will ship it right out to you. Modeled after its big brother the Peacemaker, Mojave Ampworks has made the ultimate 50 watt dream amp a reality. The SideWinder is built with a 30 watt power amplifier offering a greater degree of clean headroom for the player who requires as much in dynamic range as they do in great tone.